Mahindra is one of five companies competing for a massive contract from the U.S. Postal Service to replace its aging fleet of delivery vehicles with 180,000 new-and-improved mail trucks. The Indian automaker may have something else up its sleeve for the project, as well: an autonomous mail truck. Mahindra’s name appears in one of the 15 applications submitted last year to Michigan regulators for what’s known as a Manufacturer License Plate, according to documents obtained under a Freedom of Information Act request and published on Muckrock, a news site that helps users file and collate public records request. The license allows companies to test and operate “automated vehicles” on public roads in the state, according to a summary of the 2013 law that authorized the tests. Self-driving tech developers like Google’s autonomous car unit, Waymo, and Uber both submitted for such licenses last year, the records show. In Mahindra’s filing, dated Aug. 2, 2017, the company checks off a box to verify it’s seeking a vehicle manufacturer plate for an automated vehicle. In a separate line to describe the make of the vehicle, Mahinda discloses it’s “prototype delivery vehicles/USPS,” suggesting it may have more than one prototype planned for automated driving tests. Whether a USPS delivery vehicle prototype with some automated driving functions is a part of Mahindra’s bid to the U.S. Postal Service isn’t clear. It also wasn’t immediately known how often Mahindra is testing automated mail delivery trucks in Michigan, if at all. Both the automaker and the USPS were tight-lipped, when reached by Jalopnik on Wednesday. “Per the request of the USPS, we cannot comment on any aspect of the program,” said Rich Ansell, vice president of marketing for Mahindra Automotive of North America, in an email. But the intent behind submitting an application for a manufacturer license in the state is obvious. 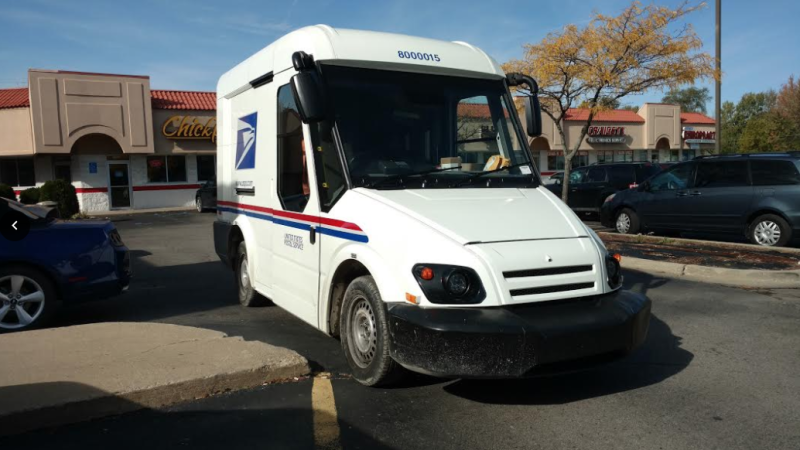 The USPS made it known last year that it wants to develop self-driving mail trucks, having disclosed that it’d partnered with the University of Michigan to build an Autonomous Rural Delivery Vehicle to launch on 28,000 rural routes as early as 2025. The carrier would sit behind the wheel, sort mail on the move, and deliver through the window while the vehicle drives, thereby achieving small but cumulatively significant time savings. As currently envisioned, the prototype is only partially autonomous, meaning the driver must be ready to assume control at all times. Thereafter, the post office planned to seek out a company to manufacture an autonomous mail ruck, and begin piloting them on 10 rural routes in 2019. The agency intends to issue a single award for 180,000 new vehicles that each will cost between $25,000 and $35,000, Bloomberg reported last month, for an estimated total revenue take of between $4.5 billion and $6.3 billion. A decision is expected by the end of the year, according to the news outlet.